This is the elementary school just across the street where we live. 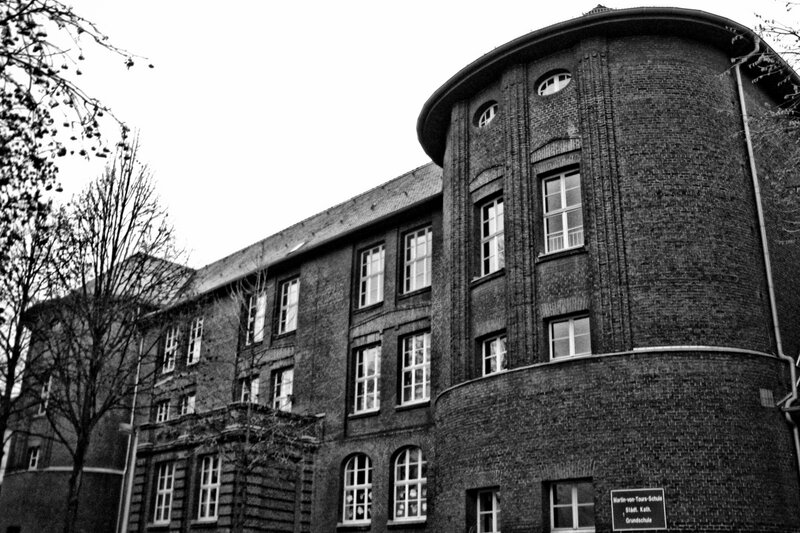 Until 1998, it was simply called the Eduardschule, but it has since been renamed to Martin-von-Tours-Schule after Saint Martin, since it is actually a catholic school. This view is actually the back of the school facing the street, the entrance is on the school yard on the other side. The two big staircase towers with their two round windows on top are a very familiar sight to us, since we can see the left tower from our kitchen windows. I’m not entirely sure when the school was built, but it was sometime in the mid-1800s.